Former President George H.W. Bush is leaving a Maine hospital after being treated for low blood pressure and fatigue. "The president is deeply appreciative both for the terrific care and the many good wishes he has received," a Bush spokesman tweeted Monday. The 41st president is 93. 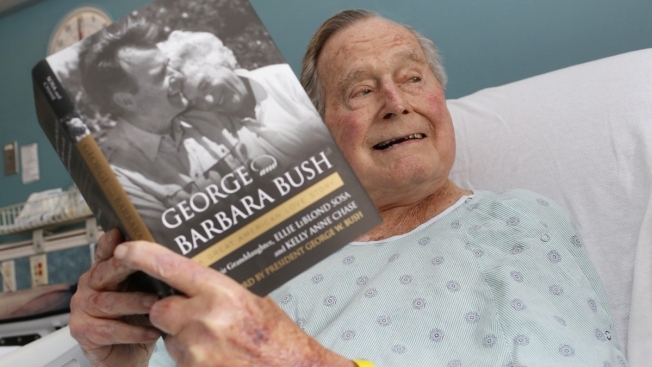 He posted a picture of himself Friday reading the book "George & Barbara Bush: A Great American Love Story." Bush said the book is "a wonderful walk down memory lane" and "another reminder of how lucky" he has been in life. His wife Barbara Bush died in April at age 92. They had been married for 73 years.